Kirby’s Extra Epic Yarn has the same content as the Wii version but there are new features including new power-ups, new modes, optional harder difficulty & new sub-games starring Meta Knight & King Dedede as the playable heroes. There is no co-op mode so you cannot choose Prince Fluff as playable character. We have added everything we know in Kirby’s Extra Epic Yarn review including its story, gameplay, release date, trailers & walkthroughs. 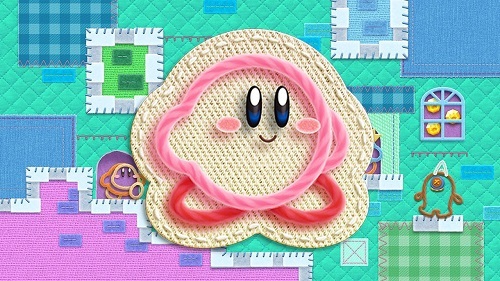 You will control Kirby who has been changed into Yarn & he is sent to Patch Land, a world made of fabric. 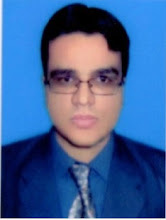 He is on a mission to stop the main enemy. The famous Wii video game Kirby’s Epic Yarn is now available on Nintendo 3DS. Every game level in the Wii version of the game is now playable on Nintendo 3DS along with new features including the ability to craft larger yarn balls, summon bead-collecting wind & 2 fresh modes. Kirby cannot fly but he can transform into other things for example parachute, car, submarine along with larger things such as tank & train. From the table you can see that Kirby has more features in Nintendo 3DS version but there is no multiplayer mode available. 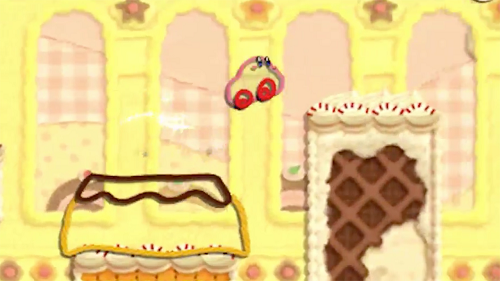 Watch Kirby's Extra Epic Yarn Nintendo 3DS announcement trailer. Watch Kirby's Extra Epic Yarn launch trailer. Check out Kirby's Extra Epic Yarn release trailer. Watch Kirby's Extra Epic Yarn full game playthrough. Check out Kirby's Extra Epic Yarn gameplay playthrough that covers the full game including all cutscenes, all levels & ending.